But get nervous approaching your dove? ‘Cause sometimes love needs a shove. Eliza Herman (a.k.a. The World’s Worst Cupid) has spent her entire life carefully avoiding her calling as a Descendant of Eros. After all, happily-ever-afters are nothing but a myth. 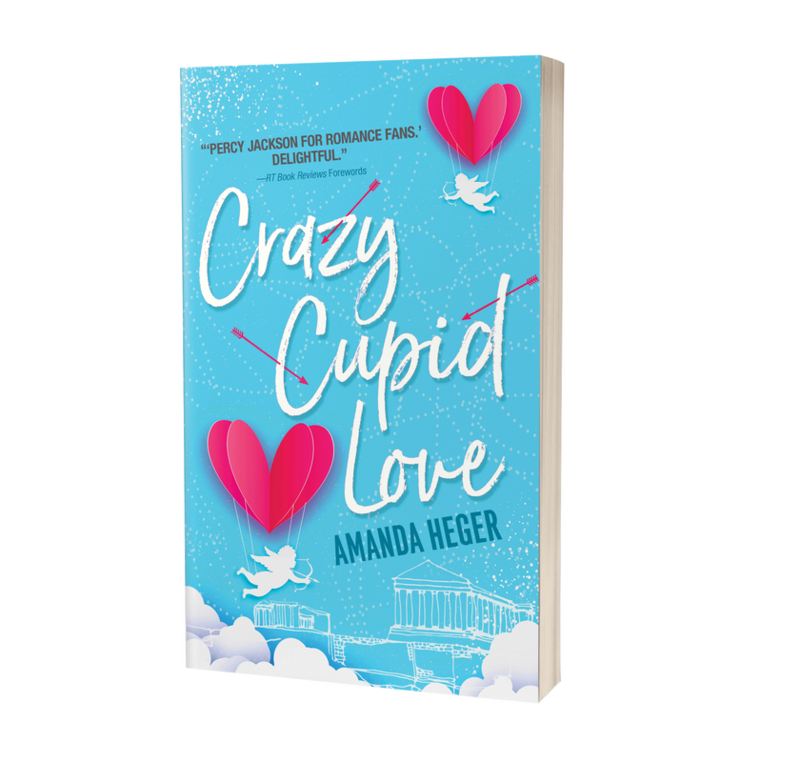 But when a family crisis requires her to fill in at the local Cupid-for-hire shop, Eliza finds herself enchanting couples under the watchful eye of her assigned mentor, Jake Sanders…the one man she could never get out of her head. Before long, Eliza is rethinking her stance on romance—until things start going terribly wrong with her enchantments. Now Eliza and Jake must fight to unravel a conspiracy that could destroy thousands of relationships, including their own…and spell the end of Love itself. Eliza jumped, cracking her head on the steering wheel. Son of a… She grasped for the seat belt while her brain tried to place the man peering down at her from the passenger-side window. Not just a man. An underwear- model- worthy man with the perfect amount of five- o’clock shadow and cheekbones that could cut diamonds. A navy tie hung loosely around his neck, and the top button of his shirt lay open, practically daring her to look away from the tan skin at the base of his throat. It was the worst thing Eliza had ever seen. TURN BACK NOW. ABANDON SHIP. THIS WAY LIES MADNESS. Her mind screeched its usual warnings like a tornado siren, but she couldn’t look away. Over the years, in her attempt to live a “normal” life, she’d constructed an intricate maze of rules and guidelines that she followed at all times. Number one on that list? Stay away from hot guys. On a good day, her clumsiness hit a six on the Richter scale. Add the fumbling, sweaty awkwardness of attraction to the mix, and Eliza became a walking catastrophe. “Brazil then. What are you doing here?” She tried to smooth her hair. When that failed, she tried not to notice how mind- bendingly attractive her childhood best friend had become. They’d known each other since elementary school, when— as the only three school- age Cupids in town— Jake, Eliza, and Elijah had been enrolled in PSC (Public School Cupiding) classes together. Every Wednesday night, they’d sit in a classroom for two hours, drinking juice boxes and learning about the history of Cupids. On the weekends, Jake would come to her house, where they would conduct elaborate reenactments of the War of the Titans from the tree house in Eliza’s backyard. But in middle and high school, the two of them had drifted apart the way people do. Especially when one of those people is class president and captain of the track team (Jake) and the other is a walking disaster (Eliza). After high school, Jake enlisted in the Cupid Corps. For the last ten years, he’d been taking cases on assignment in impoverished and war- torn areas. Aside from a brief visit over Christmas nine years ago, Eliza hadn’t seen him since. “At Dionysus again?” she asked. When they’d been teenagers, he’d worked there as a bar back. The raucous restaurant and bar sat dead center in the Agora— a building at the edge of town where Descendants had gathered for decades, undetected by “regular” humans. Eliza, the ultimate clumsy introvert with an unheard- of level of enchantment, hated the place. People stared and pointed when she walked by. It made her feel like a lab rat. “No.” He looked down at his feet, then back up at her. “Doing some deliveries right now. This one is for your parents. Are they here?” He held out a large manila envelope. Jake handed her the thick envelope and flashed her a grin. It was same grin— the one that rose a smidge higher on the left— that had always seemed kind of dorky when they were kids. As adults? Totally different story. “Happy Day- That- Shall- Not- Be- Named, by the way,” he said. Jake took a step closer. Miniature fireworks went off in her chest, leaving trails of nervous energy in her stomach. He’d become so handsome. Broad shoulders, narrow waist, a jawline that could make Adonis weep. And he’d been there for all her childhood traumas and celebrations. The hot days they’d chased down the ice- cream truck in bare feet. The games of checkers on her parents’ back porch. The awkward here- come- the- braces- and- puberty years. “You brought me a gift?” Eliza asked. “That’s fair.” For the first time on this godsforsaken day, Eliza felt herself relax. They could have been ten years old and playing Battletoads again, the way everything fell into place. Like life had never taken them in separate directions. “Here.” He produced a small, rectangular package from his back pocket. “I think you’re forgetting something.” Jake gave her a pointed look. 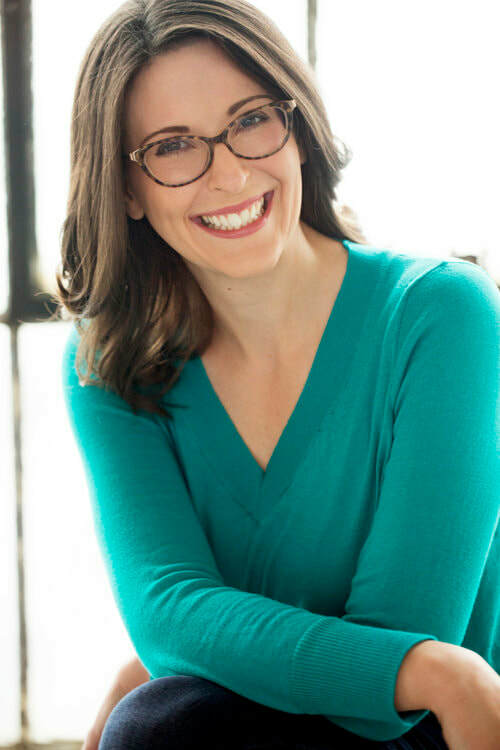 Amanda Heger is a writer, attorney, and bookworm. She lives in Maryland with her unruly rescue dogs and a husband who encourages her delusions of grandeur. She strongly believes Amy Poehler is her soul mate, and one of her life goals is to adopt a pig and name it Ron Swineson. Visit her online at amandaheger.com.